NSW Labor has pledged an additional 7 GW of new renewable energy if it wins power in the March election. According to Labor, the Daley Labor Government plan would provide clean and cheaper electricity for more than three million NSW homes in the next decade. Announcing the policy, NSW Labor Leader Michael Daley said it indicated to the market that NSW is serious about renewable energy. The plan will create more than 13,000 new jobs, according to Labor. The Daley new renewable energy package includes the creation of a new state-owned power corporation. This will deliver a further 1 GW of renewable energy generation and storage over the next decade. NSW Labor is backing renewable energy ahead of the March election. “I want to make NSW a global leader of the clean energy industry,” Daley said. “I want NSW workers and families to reap the benefits. But we can only do that if we send a message to the energy sector that a NSW Labor State Government will back them and guarantee a market. Daley said NSW would not be “a supplicant state” for energy. Today’s pledge builds on Labor’s announcement last Sunday. It promised a NSW solar panel rebates program if it wins the state election on March 23. Under Labor, households with combined incomes of $180,000 or less will then be eligible for a solar panel rebate up to $2,200. 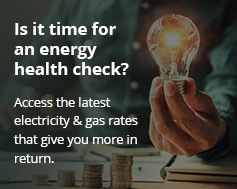 In response, Premier Gladys Berejiklian announced a 10-year Empowering Homes program to unlock a $3.2 billion new renewable energy investment.